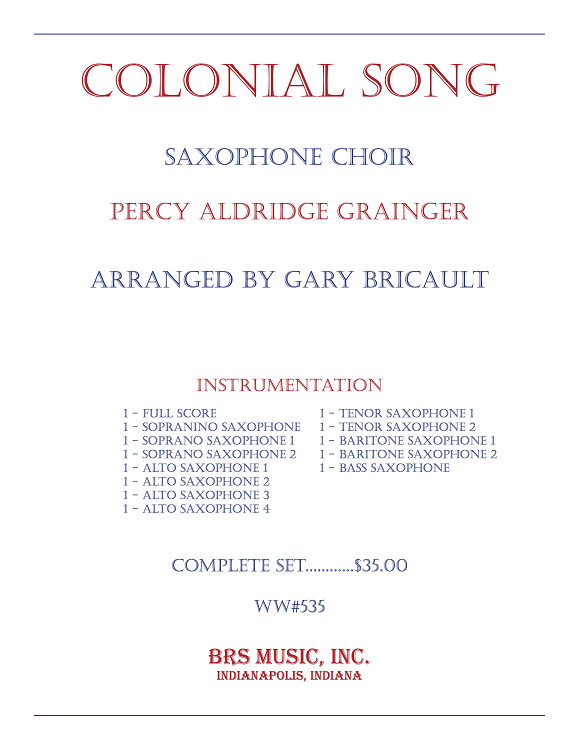 This particular arrangement for saxophone ensemble was created using Grainger’s piano solo version. The dynamic and tempo text are Grainger’s own words and, although rather unusual, provide some insight into his own thoughts on the performance of his music. The work is rich in sonority and are further enhanced by the natural harmonics of the saxophone ensemble. Instrumentation is is sopranino sax, 2 soprano sax, 4 alto sax, 2 tenor sax, 2 baritone sax, bass sax. Arranged by Gary Bricault.